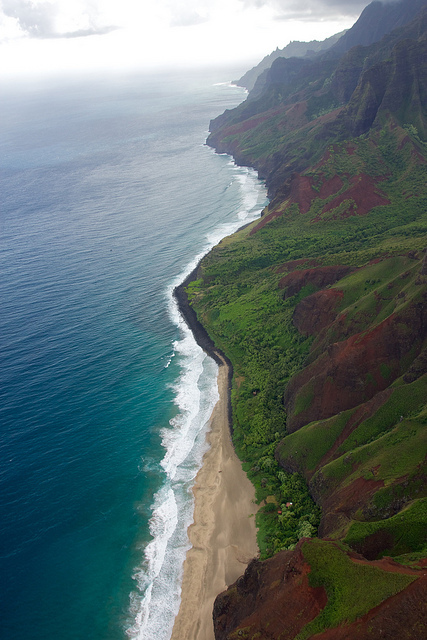 Kauaiâ€“Picturesque, serene and quiet, itâ€™s hard to find fault with the Garden Isle. I love each and every one of the Hawaiian Islands, but Kauai offers a bit more laid back and autonomous experience. As the backdrop for many films and TV shows, Kauai has the reputation of unparalleled beauty and a slower pace of life. Â After bustling Oahu and romantic Maui, Kauai is a welcome respite from many of the tourist traps, especially at the fabulous Kauai Beach Resort. In fact, Kauai is the island that boasts most of my favorite things about Hawaii vacations! Considering that Kauai has more beaches than any other Hawaiian island (it boasts more than 50 miles of sandy shores) picking the best of the best is no easy feat. 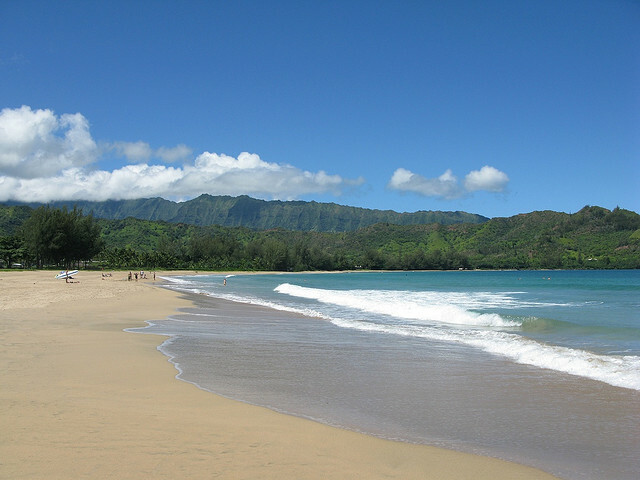 Of course, being a self-described beach aficionado, Iâ€™ve managed to whittle the long list down to my favorite â€“ Hanalei Bay. The cerulean bay sparkles before a wide beach and verdant mountains. Along with its stunning beauty, it remains my favorite is due to the sheer versatility. Surfing is great, the waters are safe for swimming, and kayaking is available as well as sailing, snorkeling or plain old sun bathing. The fifteen-mile stretch of dramatic cliffs on the northwest shore of Kauai is one of the most awe-inspiring locations in the world. Literally meaning, â€œThe Cliffsâ€ parts of Na Pali rise as high as 4,000 feet above the Pacific Ocean, offering unbelievable views along the strenuous, 11-mile hike. Â Rated a â€œ9 out of 10â€ in degree of difficulty from the Sierra Club, the Kalalau Trail is not for beginners, but itâ€™s definitely the experience of a lifetime worth working towards. This unforgettable excursion takes you along the historic irrigation system of the former Lihue Sugar Cane Plantation. Formerly closed to the public, the hand-dug waterways are now open for you float along. Don a hardhat and headlamp and jump on an inner tube to scope out spectacular island scenery. A must-see for any Kauai visitor, the breathtaking Waimea Canyon isnâ€™t nicknamed the â€œGrand Canyon of the Pacificâ€ without reason. 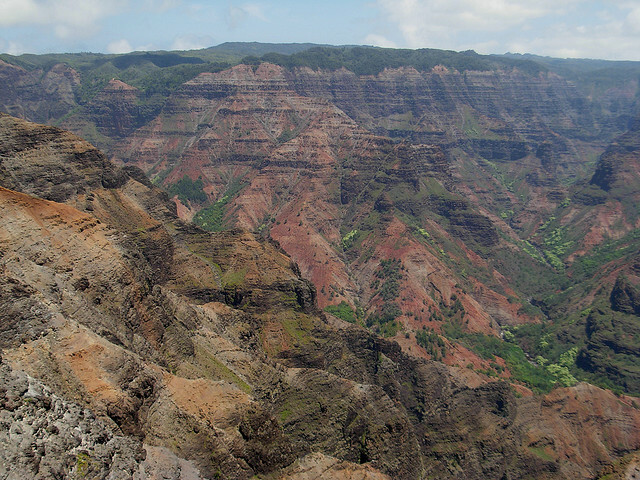 At 10 miles long, two miles wide and 3,600 feet deep, the Waimea Canyon adds but yet another level to the amazing topography of Kauai. Deep reds, greens and browns color the deep rock crevasses offer outstanding lookouts throughout the canyon. There are a number of excellent lookout points along the way. After experiencing each of these, I knew that Kauai was more than just a photogenic isle. 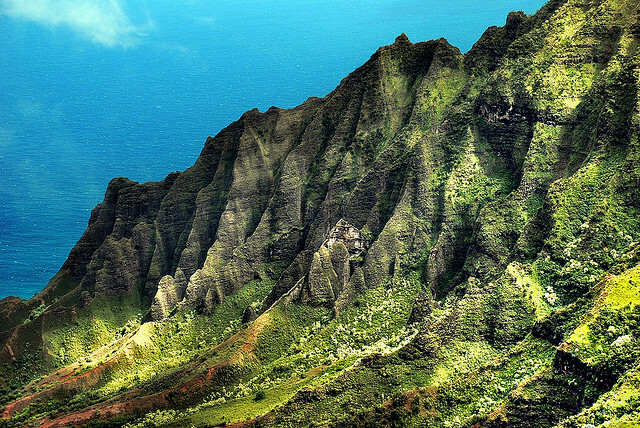 It may be known for its lush foliage, tranquility and beauty, but Kauai exhibits a distinct ruggedness. It deserves quiet observation, respect and a boldness to take on the challenges it has to offer. After these adventures, I came to regard the oldest of the Hawaiian Islands as my favorite.